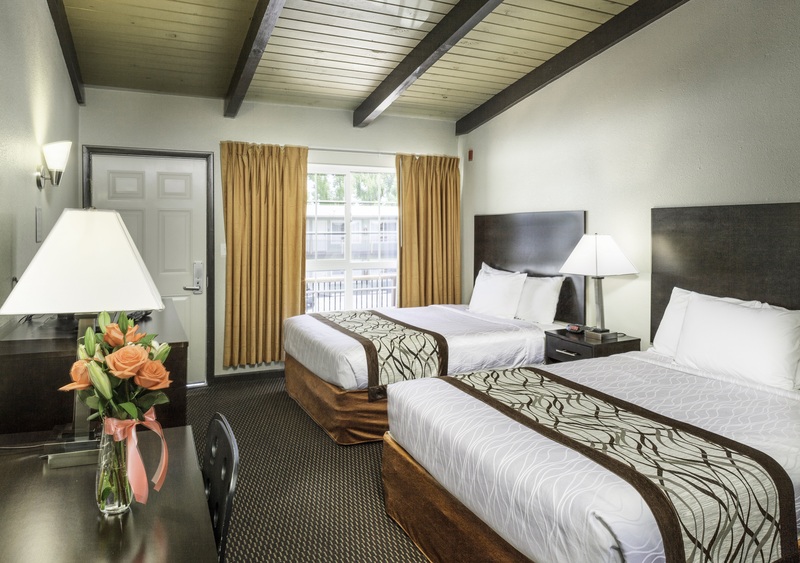 Travel back in time when you stay at our charming lodgings in Redding, California with mid-century modern décor and the free spirit of a forgotten era. Our hip accommodations are infused with roadside hotel nostalgia and all the contemporary comforts you expect from a modern hotel. 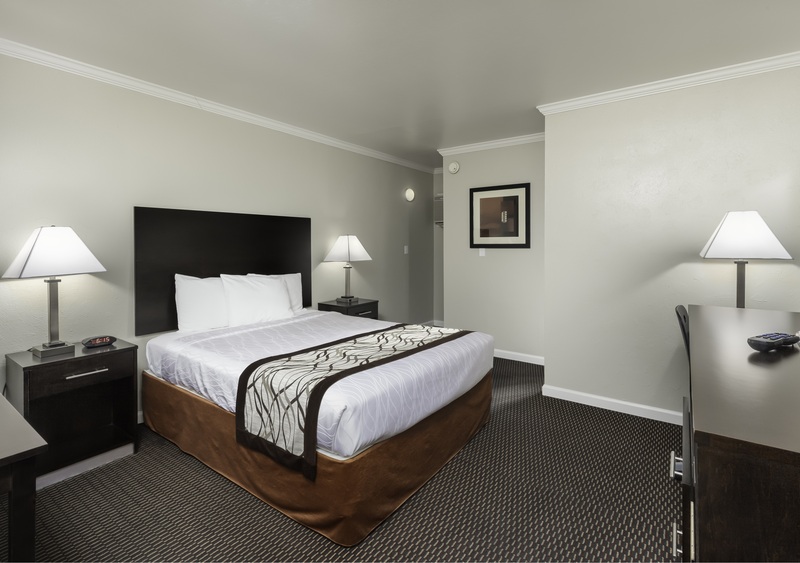 Whether you’re traveling solo on a business trip or looking for a little extra space to accommodate your group, browse through our variety of Redding hotel rooms to choose what suits you! Our retro-chic lodgings can appeal to any guest, whether you’re looking for a designated pet-friendly room or a full-sized kitchenette right in your suite! 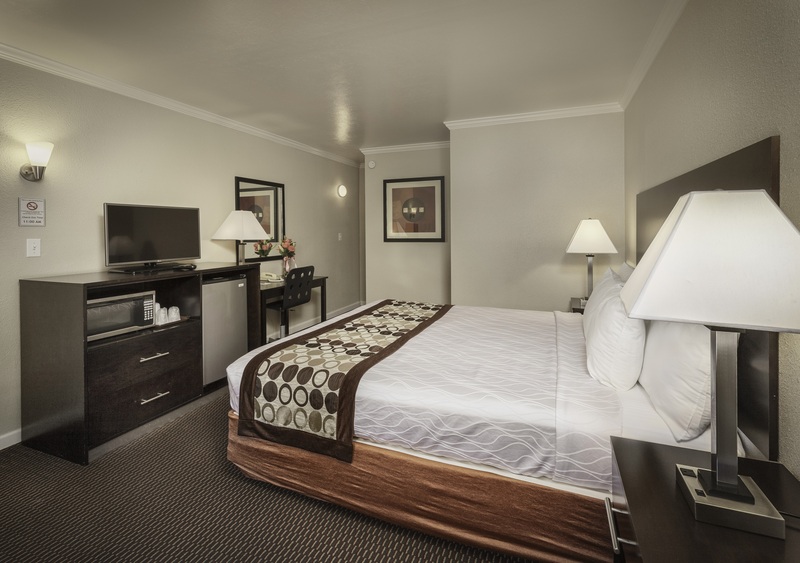 Each of our rooms feature a microwave, mini-refrigerator, and flat-screen TV. Start your morning with a hot cup of coffee right in your room and quickly press your shirt with the ironing board. 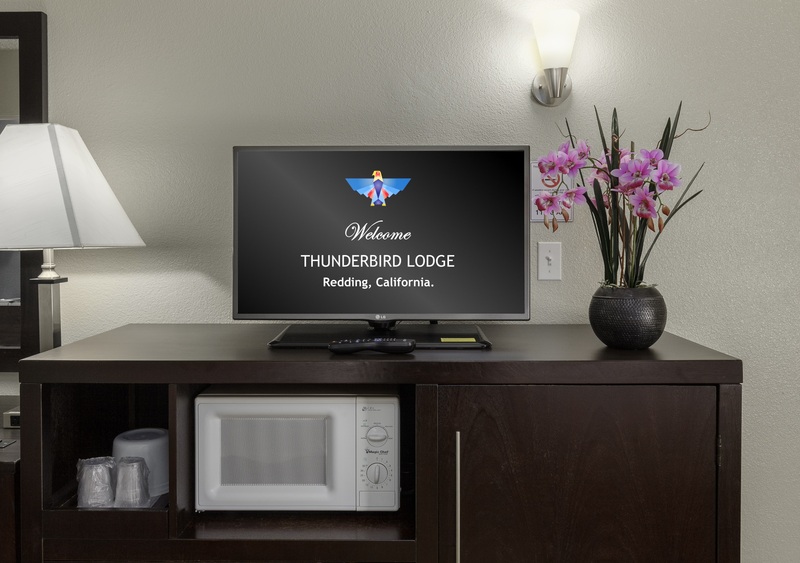 Lodging in Redding has never been easier, thanks to all of the convenient on-site amenities offered here at Thunderbird Lodge. Start your morning with our complimentary continental breakfast and come back in the evening to dine at our on-site restaurant and bar, La Cabana. Also included in your stay is access to our seasonal outdoor pool and complimentary Wi-Fi throughout our hotel. Your old school stay still has all the modern amenities we know our guests value. Perfect for guests on the go, the Queen Room boasts all of Thunderbird’s thoughtful amenities. Sleep soundly in a queen bed with cozy bedding and lots of pillows. 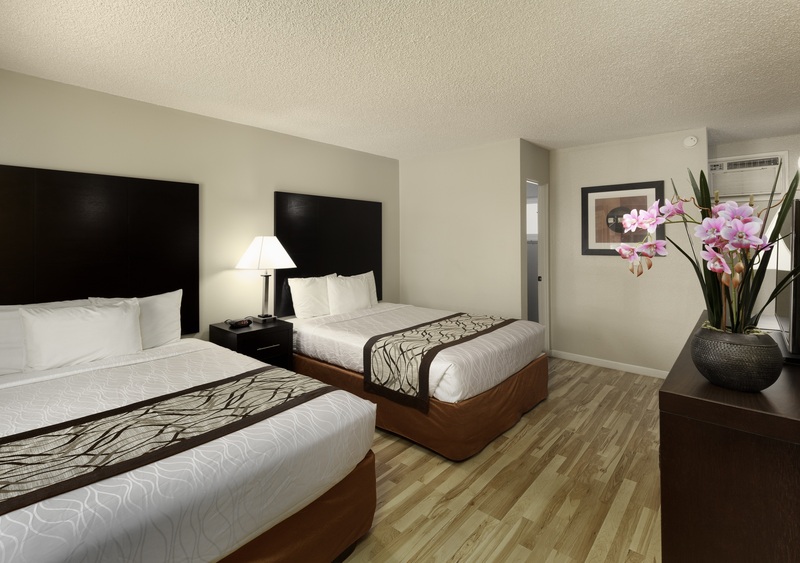 If you’re looking for a stay built around efficiency and ease, the Queen Room is the perfect place for you to stay. 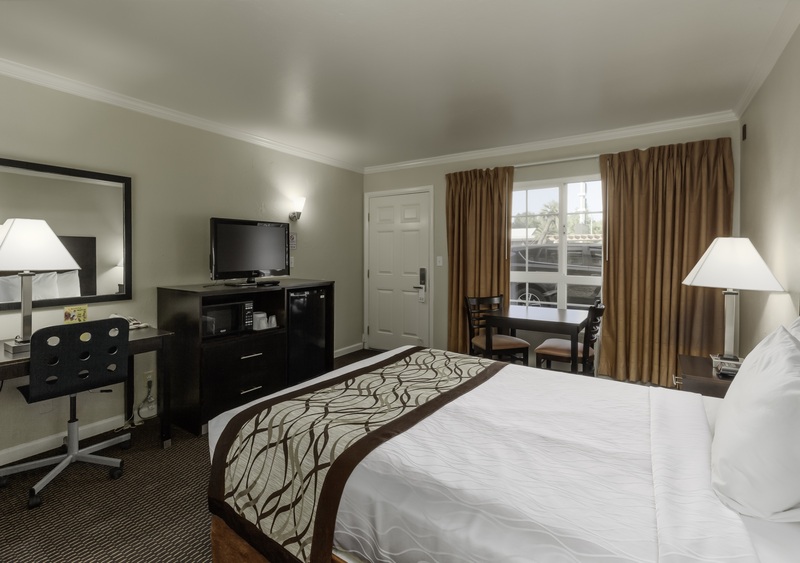 Relax in your queen room with convenient amenities to complement your stay in Redding! 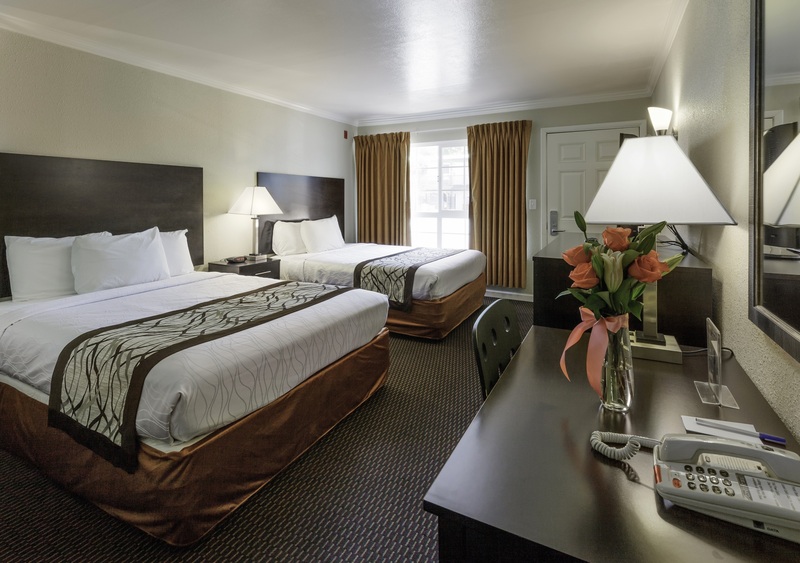 Our queen room offers amenities you want during your stay in Redding, at the affordable rates offered here at Thunderbird Lodge. With mid-century décor and the free spirit of a forgotten era, our hip accommodations are infused with roadside hotel nostalgia and all the contemporary comforts you expect from a modern hotel. 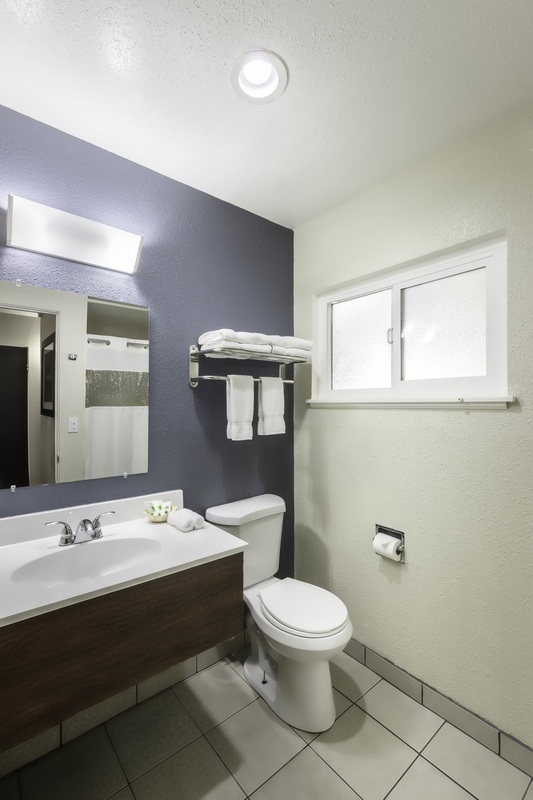 Our lodgings in Redding, California all include a host of convenient amenities, such as a microwave and mini-refrigerator for preparing snacks and complimentary Wi-Fi to stay connected. 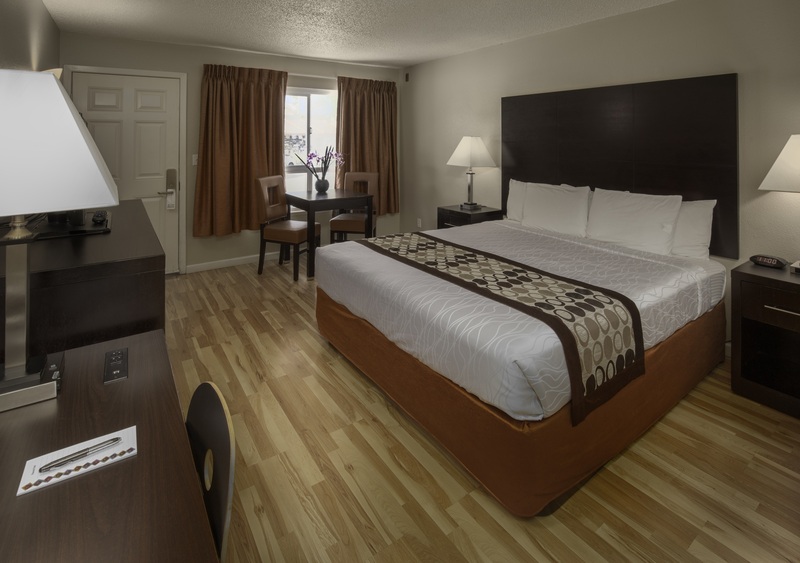 This non-smoking room includes Thunderbird’s standard amenities including Wi-Fi, air conditioning, and a flat-screen TV. 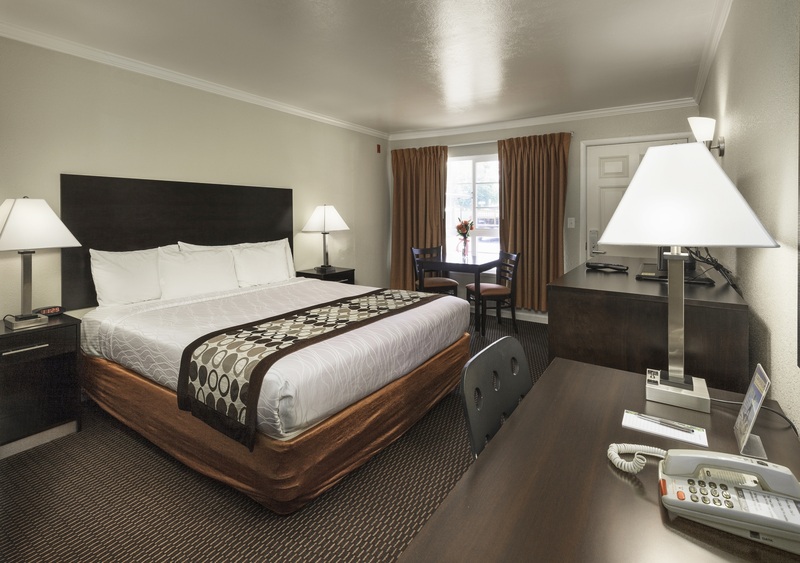 Relax in your King Room with convenient amenities to complement your stay in Redding! 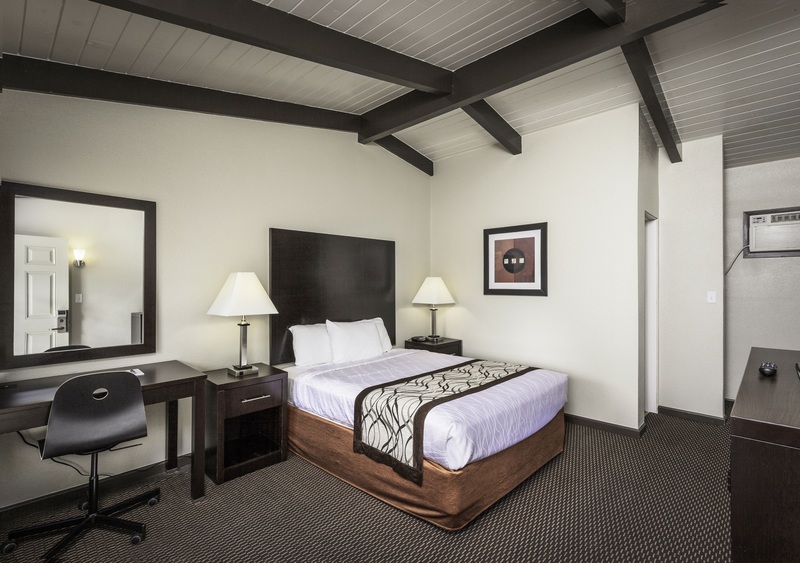 Our King Room offers extra space you want during your stay in Redding, at the affordable rates offered here at Thunderbird Lodge. With retro décor and the free spirit of a forgotten era, our hip accommodations are infused with roadside hotel nostalgia and all the contemporary comforts you expect from a modern hotel. Stretch out and get a great night’s sleep in our retro rooms with two queen beds. 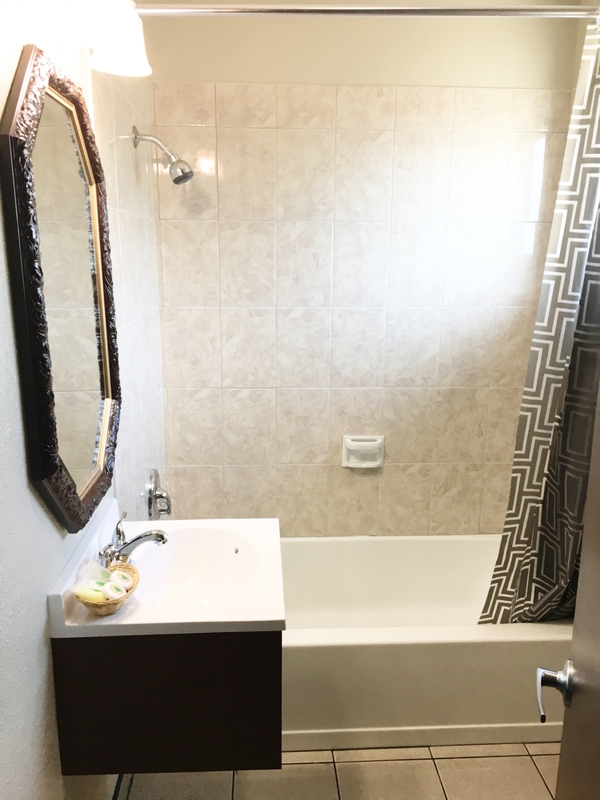 Our lodgings in Redding, California all include a host of convenient amenities, such as a microwave and mini-refrigerator for preparing snacks, as well as complimentary Wi-Fi to stay connected. Stretch out and get a great night’s sleep in our retro rooms with two queen beds. Perfect for a group stay, our double queen room can accommodate up to 4 guests comfortably. 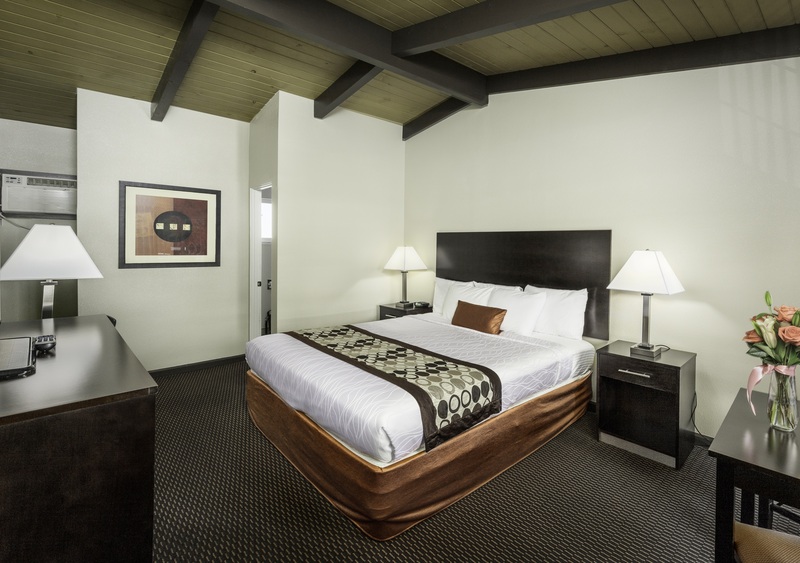 Stretch out and get a great night’s sleep in our mid-century style rooms with two queen beds. Sleep well in a queen bed and enjoy access to a full private kitchen! Our Kitchenette Room features a cooktop, sink, fridge, and dining table with three chairs for you to prepare meals while on the road. 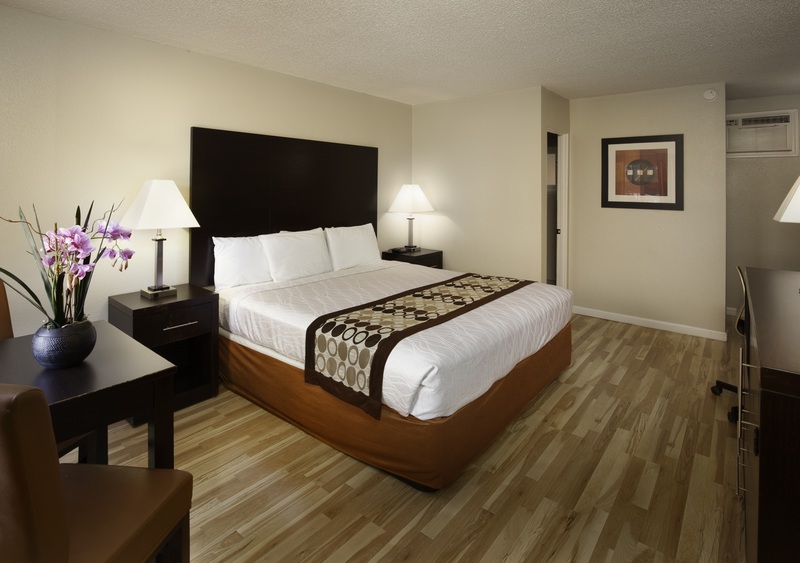 This non-smoking room includes Thunderbird’s standard amenities including Wi-Fi, air conditioning, and a flat-screen TV. The washroom has a tub as well as a standard shower. Enjoy our spacious kitchenette room! Our kitchenette room features a cooktop, sink, fridge, and dining table with three chairs for you to prepare meals while on the road. 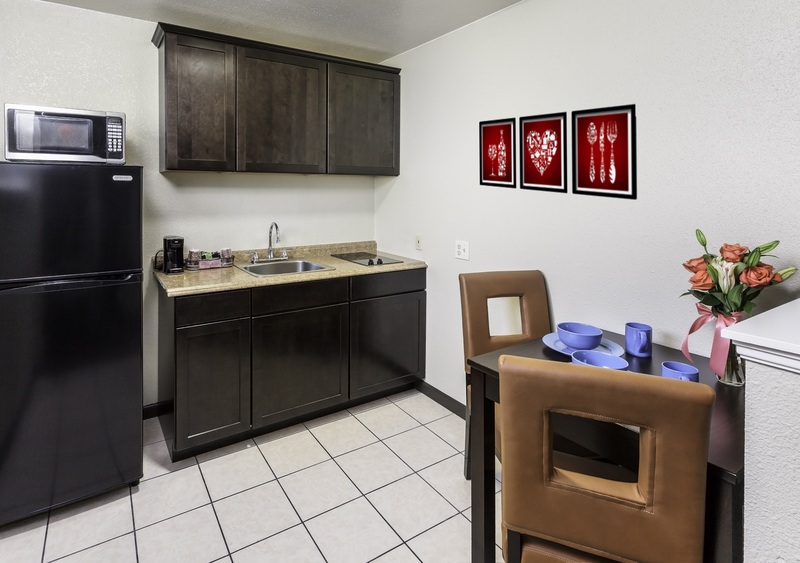 Our Kitchenette Rooms have everything you need! 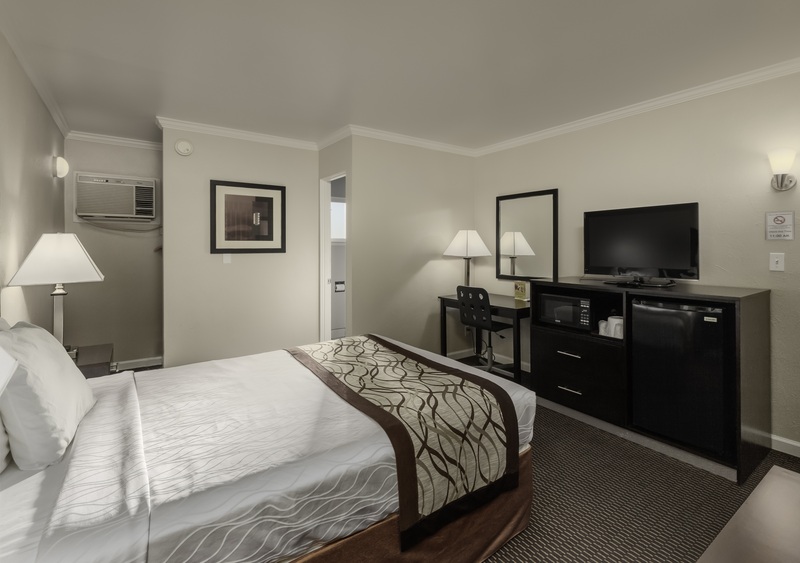 Our kitchenette rooms are perfect for guests looking to enjoy home-cooked meals during their stay in Redding, CA!